Following the event that happened in LAST WEEK’S POST, there was a period of 4 days when there continued to be very little food in our cupboards. If you remember, my parents were doing deputation work for CEF ministries and did not receive a regular paycheck. Their income was provided by the support of other Christians, and some weeks were financially leaner than others; but, through faith, God supplied for my family’s needs in miraculous ways during that time. On day one, we all sat down for supper and were getting ready to eat what was left in our cupboards - some crackers with butter on them (and my sister thinks there might have been a little bit of popcorn as well). We all held hands and Dad prayed just like we always did, thanking God for our meal. 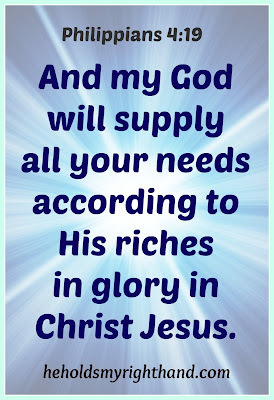 Then, he also asked God to provide for our needs. My brother remembers Dad telling us to enjoy our meal, because we didn’t know where the next one would come from. Then, there was a knock on the door. Upon answering the door, no one was there. 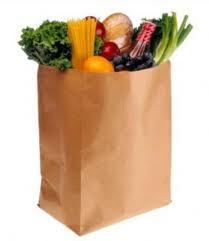 However, a sack of groceries was left there anonymously. We were all so excited to see how God had provided so quickly. We had enough food for a good meal that night, as well as some leftovers for breakfast the next morning. Day 2 - At breakfast, we all prayed again before us three kids left for school, asking God, in faith, to provide for our needs. Later that afternoon, some friends of ours called and said they had made too much supper, so they asked us to come over and join them. Of course, we said yes, and had a nice meal with our friends that night. Day 3 - We all prayed again before leaving for school. That afternoon, my brother and sister received a small check for a paper route job they had. It was maybe around $6.00, which was worth a lot more 40 years ago than it is now. My dad gave the check to them and asked what they wanted to do with it. They said, “Let’s go to McDonald’s!” So, that was our meal for that night. Day 4 - I’m sure we all prayed again that morning. Later that day, an income check arrived for the amount of $1000. It was enough to provide for our family’s needs for the following month. 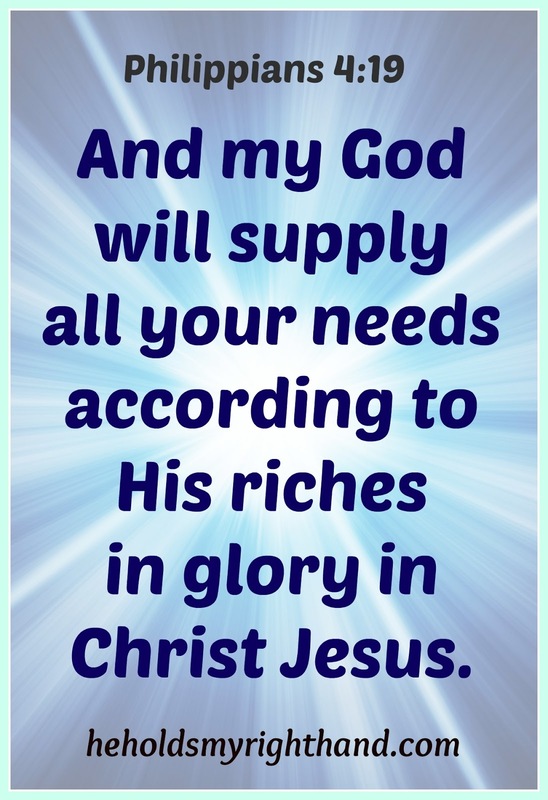 God is good, and always promises to supply the needs of His children. Not always what we WANT, but exactly what we NEED. Thanks for sharing what you remember, Dad.